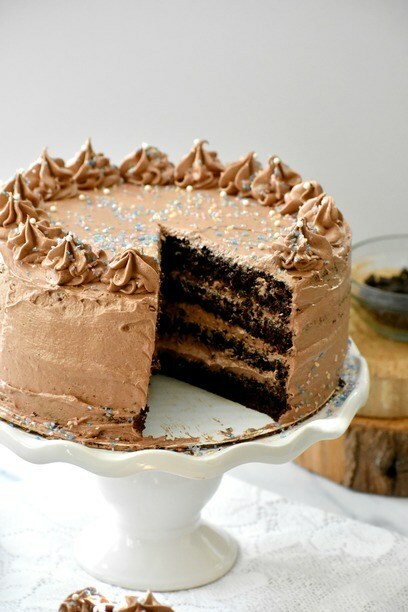 Chocolate Cake is such a staple in life. We all eat it, in some way or another. When I realized how much cake we were actually eating I wanted a paleo version, or grain free at the least. I created this Grain Free Chocolate Cake recipe so I could indulge without the belly bloat afterwards. No lie, I just feel better when grains are not in my day to day life. A little here and there is fine, but it can get out of hand really fast. So, sometimes I just need to make a make a cake and still feel good after I eat it too. Grain Free Chocolate Cake is the perfect compromise. I have had the Grain Free Chocolate Cake recipe in my back pocket for sometime. I have made it for my family numerous times and I even shared it with my best friends who have been baking it since. I am really proud of this cake because it is moist, decadent, and pretty darn good for you in comparison to regular cake. In fact, my best friend made this for her daughters birthday party and served it to everyone. I knew what it was, but no one else did and they all devoured it. 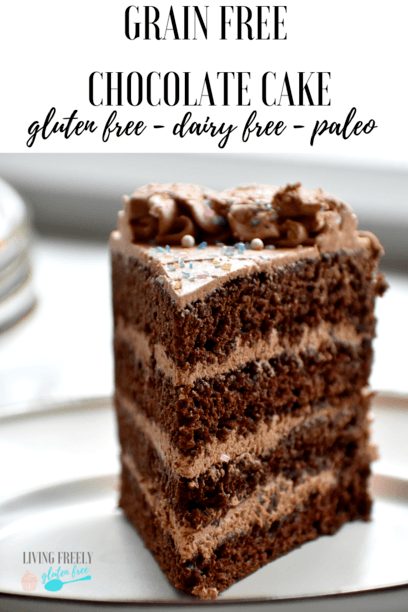 This Grain Free Chocolate Cake is also Paleo and Dairy Free. 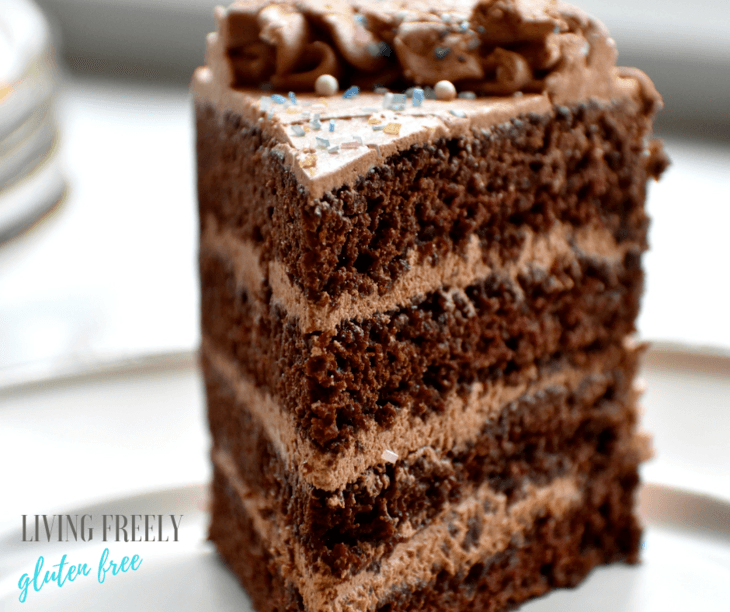 If you need a traditional gluten free chocolate cake recipe I have the perfect moist one in my cookbook Living Freely Gluten Free . You can grab a copy on Amazon. However, if you want a good grain free one then this will quickly become your go-to. What is Paleo All Purpose Flour and do I need it for this recipe? Paleo or Grain Free All Purpose Flour is a flour mix I created to make life easier. I make a batch of this and use it for all of my paleo baking. 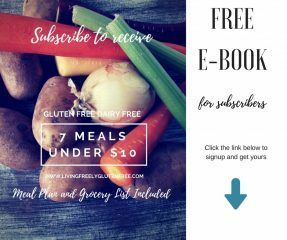 I have had great success with it and if you make some I have tons of recipes that call for it like my Paleo Chocolate Waffles, Paleo Pie Crust, Chocolate Paleo Banana Bread and tons more! You can get the Grain Free/Paleo All Purpose Flour recipe HERE. 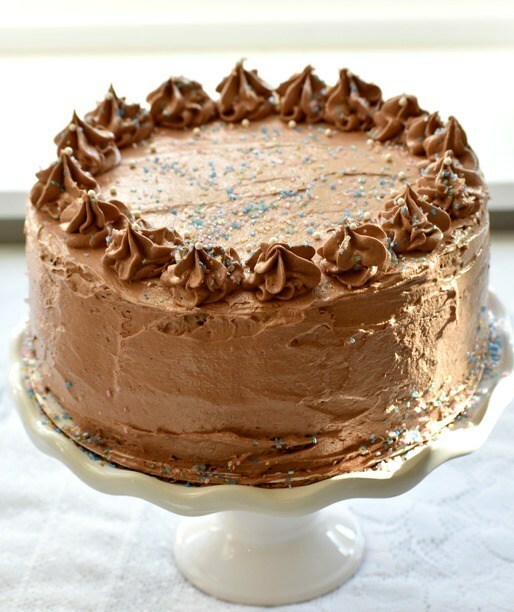 I frosted this grain free chocolate cake with my regular vegan chocolate buttercream recipe. The frosting contains sugar, so technically its not paleo. The cake itself is paleo, so feel free to use a paleo frosting if you need it to be sugar free. I know that even if you aren’t grain free you will still love this recipe and it will soon become a staple in your home! 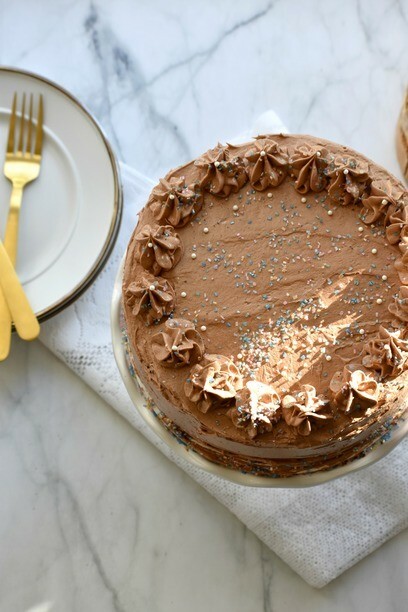 How do I make this grain free Chocolate Cake? You will start by blending all of the dry ingredients together. Set that aside and then you will beat the eggs. Add the vanilla and coconut milk. Add the dry ingredients into the mixture and blend. You will then add the coconut oil and allow it to blend into the batter. You can pour into cupcakes, use about 1/4 cup of batter per cupcake. I grease my cake pans with coconut oil and they pop out perfectly. If you are using a 6, 8, or 9 inch pans divide the batter between the pans. Shown is a 6 inch cut into 4 layers. Bake the cakes for 40 minutes, cupcakes for about 14 minutes, or until a toothpick comes out clean. Allow the cakes to fully cool and then you can make the frosting and frost them. If you plan to pipe and decorate you might want to double the frosting recipe. Store in the fridge for up to 3 days. Enjoy! This grain free/paleo cake is moist and light with fabulous texture. No one will know its made with good for you ingredients. In a mixing bowl, mix dry ingredients including coconut sugar. In a stand mixer on medium speed beat eggs for 3 minutes. Add the dry ingredients. Beat 1 minute. Scrape the sides of the bowl. Add coconut oil, beat 2 minutes. Pour into cupcake molds or cupcake cake pans. Cake takes about 40 minutes, cupcakes about 14 minutes. In a stand mixer or with a hand mixer blend the vegan butter and shortening. Add the vanilla, powdered sugar, cocoa powder and blend then begin to add the coconut milk. Beat on high speed for about 2-3 minutes, or until the frosting fluffs up. Frost the cake once it is completely cooled. Store in the fridge.